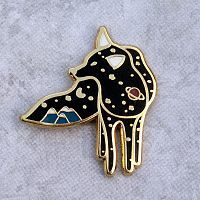 - Filled with an infinite expanse of moons, stars, and planets, this jet-black fox seems to represent the wild nature of the universe itself, vast and mysterious. 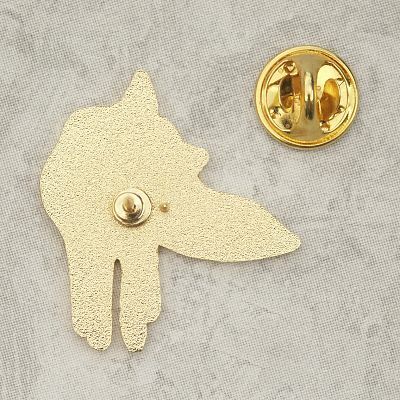 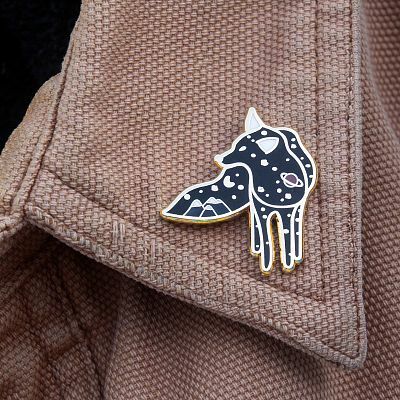 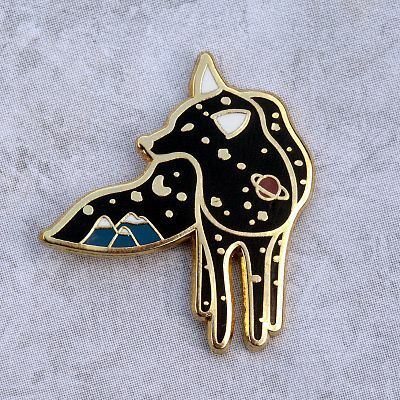 The Cosmic Fox enamel pin measures approximately 1 1/4" high. 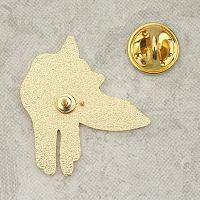 It has a gold-tone finish, and a butterfly clutch pin back to hold it securely in place. Do you have any other questions about our Cosmic Fox Enamel Pin?